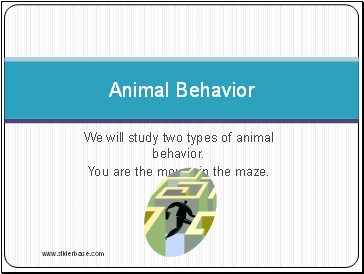 We will study two types of animal behavior. You are the mouse in the maze. 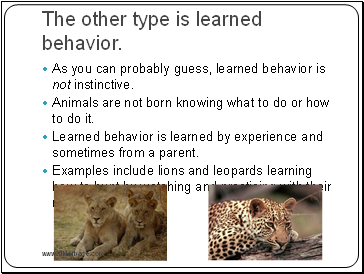 The first type is instinctive behavior. Instinctive behavior is something the animal is born knowing how to do. 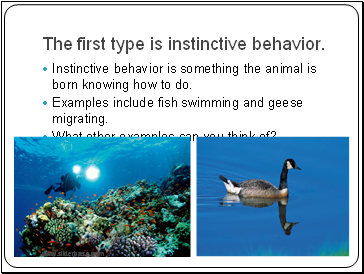 Examples include fish swimming and geese migrating. The other type is learned behavior. As you can probably guess, learned behavior is not instinctive. Animals are not born knowing what to do or how to do it. Learned behavior is learned by experience and sometimes from a parent. Examples include lions and leopards learning how to hunt by watching and practicing with their mothers. 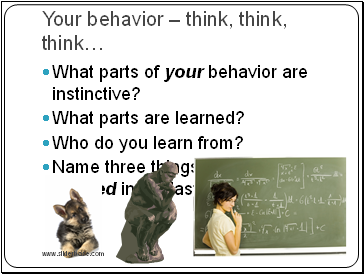 What parts of your behavior are instinctive? Name three things you have learned in the last week….